To assess the predictive value of procalcitonin (PCT) in the risk of sepsis in patients with stage 5 chronic kidney disease (CKD). 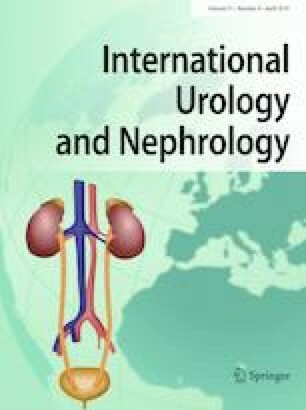 A total of 373 inpatients with stage 5 CKD were retrospectively analyzed. The patients were divided into non-infection group, local infection group, and sepsis group. The clinical characteristics and inflammatory parameters including PCT, C-reactive protein (CRP), white blood cell count (WBC), and neutrophil percentage (NEU%) were compared and the receiver operating characteristic (ROC) curves to predict sepsis were plotted. Related risk factors of sepsis were analyzed by logistic regression analysis. (1) The hemodialysis ratio of sepsis group was the highest at 92.3%. PCT, CRP, and NEU% were significantly different among the three subgroups (P < 0.05 for all). Total cholesterol and low density lipoprotein (LDL) levels in sepsis group were significantly lower than that in local infection group (P < 0.05 for both). (2) CRP and WBC were unable to predict sepsis (P > 0.05 for all), while PCT and NEU% could predict sepsis with areas under the curve (AUC) of 0.838 and 0.691, respectively (P < 0.05 for all). (3) Multivariate logistic regression analysis showed that PCT > 1.650 ng/mL was a risk factor (OR = 6.926, P = 0.002) while LDL was probably a protective factor (OR = 0.336, P = 0.040) of sepsis in patients with stage 5 CKD. At stage 5 CKD, the predictive value of PCT for sepsis is best among inflammatory markers, and PCT and LDL levels are independent factors of sepsis. Lijuan Jiang and Xiaonan Shao are co-first authors. YS and XS conceived of the study, and drafted the manuscript. LJ carried out the Lab testing. XS participated in the design of the study and performed the statistical analysis. This work was supported by Natural Science Foundation of China (No. 81771798). The study has been approved by the Ethics Committee of Soochow University.